What surprised you most about Jordan? The Foreign Intrigue program marked my first time leaving the United States since immigrating here from Jordan with my family at five years old. Going back to Jordan after 15 years felt like entering the country for the first time in a lot of ways, and reminded me of a joke. Two fish are swimming along in a stream when a third one swims by them. The passerby fish greets the other two and says, “Water sure is fine today, boys” before continuing on his way. When he’s gone, one fish turns to the other and says, “What the hell is water?” That is to say, when you’re surrounded by something for so long, you begin to forget about it and take its existence for granted. 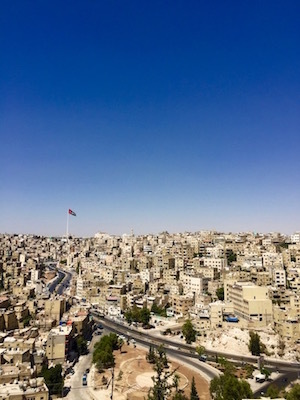 Along those lines is what surprised me most about Jordan: the absence of things I thought to be vital here in Washington and the ways I began to understand how people did things differently. This ranged from minute things to wider societal attitudes. For a small example, crosswalks are nonexistent in Jordan. Motorists can be a bit unforgiving in Amman, so instead there are foot bridges every few miles down the road for pedestrians. Plenty of them play Frogger in traffic to get across rather than using them though. For a bigger example, so much of the population smokes in Jordan that you can do it freely in plenty of restaurants. Tables will even come with ashtrays for your convenience. The biggest challenges to reporting in a foreign country for me were knowing who my sources should be and overcoming the language barrier. The first issue was most often resolved by my editors since they are much more connected and educated about the affairs of the country. They would give me a list of people to contact for each story, complete with phone numbers and titles, and from there I would be on my own. Background information was bit harder to gather at that point since a lot of Jordan’s government units have outdated websites, if they had an online presence at all. When I was finally ready to conduct interviews, I would brace myself in case my subject couldn’t speak English very well. I imagine this was a bit easier for me compared to other Foreign Intrigue students since I speak my country’s main language (Arabic), but I definitely did not speak it well enough in every case. Some of my stories from The Jordan Times have few direct quotes as a result, since a lot of the responses I got were translated from Arabic. 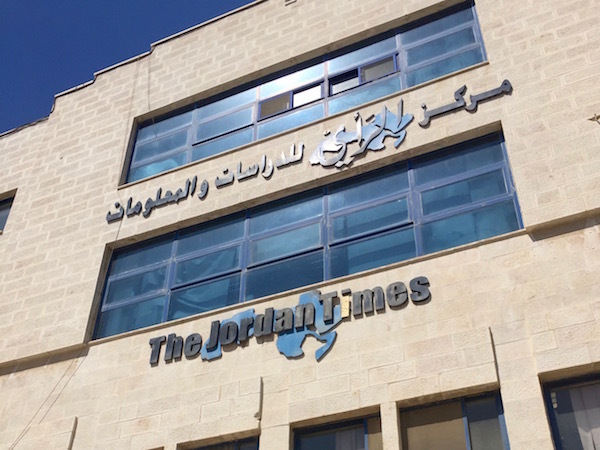 I’m very proud of my second story published in The Jordan Times, which is titled “Not an easy job, but Amman’s traffic headache curable — experts” and can be read here. A huge issue for growing urban cities is traffic, and Amman has the most congested streets I’ve ever seen at any given time of day. I pitched this piece because I wanted to see if anything was being done to solve the traffic problem and transition the capital from a driving city to a public transportation one. I’m back in the states now, but one of the successes I’m proudest of was improving my Arabic speaking skills. I spent a lot of time with my extended family in Jordan and I told them I didn’t want anyone speaking to me in English so I could better my Arabic in my 2.5 months there. While I’m still not the most articulate Arabic speaker, I have expanded my vocabulary and am more willing and able to express my thoughts in my mother tongue. I continue to speak Arabic with my parents at home and I hope to find a space to do the same at the UW. I spent my 21st birthday on August 4 in the sprawling desert of Wadi Rum, and then I saw the ancient city of Petra the next day. 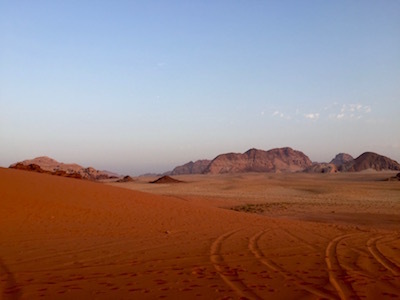 Americans may know Wadi Rum as the filming location for a lot of movies like “The Martian” and “Transformers,” but seeing it in person, watching the sunset, and seeing the Milky Way there at night is truly indescribable.